SMB marketing – Online reputation management is crucial to conversion. 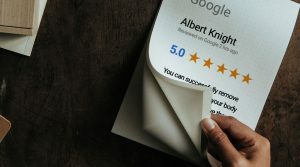 Even if your current brand marketing strategies are helping your search engine ranking, you’re unlikely to get any new customers if your business shows up on Google with a poor online reputation. Your own SMB marketing and SEO efforts can only get you so far. For a marketing solution that lasts, you’ll need your customers’ help. Sure, you may be cranking out the most creative ad and marketing campaigns, but so are all your top competitors, so it’s hard to really make an impression on customers. Ads only represent your own information, which is inevitably shaded with bias. Customers know this–and always have–but the difference is now, they have access to an alternative informative source: each other. Customers trust other customers the most. 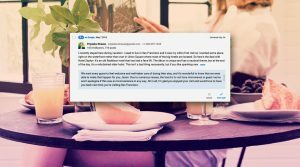 They objectively read and write about personal experiences in online reviews, and the resultant collective intelligence has become a dominant resource in the customer journey. Think of it like a recommendation. You move to a new city and wonder where a good place to grab dinner is, so you ask locals for suggestions. This age-old concept has migrated online to sites like Google and TripAdvisor, putting customers in control of businesses. They review everything from hotels and airlines to gas stations and dog groomers, and all these shared experiences are read and valued by others embarking on the customer journey. Before making a purchasing decision, 92% of customers research a company online, and 68% are more likely to trust a company with positive online reviews. Even if your company appears in relevant searches, it doesn’t matter unless customers like what they see. Reputation solutions – So how do you get more customer reviews? Zero reviews are almost as damaging as bad reviews. Both Google and customers tend to pass on a business that no one has bothered to write about. For both, it’s a matter of trust. They want to know what to expect. Paid or fake business reviews are not sustainable reputation solutions, not to mention against policy for most review sites. The most effective way to increase authentic customer feedback is by automating the collection process. Every customer has thoughts about their experience with your business, it’s just a matter of prompting them to speak up. The sooner you ask for feedback after a visit or transaction, the more likely you are to receive it. Simply integrate a business reputation management platform into your existing CRM to automate the request process and watch new customer reviews flow in. You can then take it to the next level with review marketing: promote positive customer feedback on social channels and display testimonials on your website. This is not only cheaper than traditional advertisements, but it’s also more effective. Prompt customers to share their own feedback to sites that matter to them and to you, spreading the word far and wide. Not only do reviews build customers’ trust–they’ll also show Google you’re the real deal. A continuously refreshed flow of brand-relevant content on a variety of sites will help you dominate search results and outshine the competition. Bottom line: Through online feedback, your customers can create the most valuable and versatile SMB marketing content out there. All you have to do is provide them with a customer experience worth talking about. Reputation Management Reviews Listing within your dashboard. Here, you can monitor and manage all of your incoming reviews. You can respond to each review directly from the dashboard.